Ivan Toplak (Serbian Cyrillic: Иван Toплaк; born 21 September 1931 in Belgrade) is a Yugoslav former football player and manager. Toplak played for NK Olimpija Ljubljana and Red Star Belgrade, with whom he had much success. As a player he also represented the Yugoslav national team. As a manager ha also managed Red Star, had a managing period in the USA, managed almost all levels of the Yugoslav national team and also managed the Indonesia national team. At the 1984 Summer Olympics, he guided Yugoslavia to a bronze medal. Toplak started his career at NK Branik Maribor in Maribor, where his family moved in 1943 from Belgrade. In 1951, he signed with NK Olimpija Ljubljana, where he spent playing the next three years. With Olimpija, he won the Slovenian Republic League in 1952. 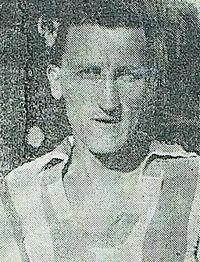 In 1954, Toplak left Olimpija for Red Star Belgrade. He played at Red Star for seven years, until 1961. With Red Star he won the Yugoslav First League in the seasons 1955–56, 1956–57, 1958–59, 1959–60. He had also won the Yugoslav Cup in the 1957–58 season and the 1958–59 season. On international club level, he won the Mitropa Cup in 1958. He left Red Star in 1961 and shortly after retired from football at the age of 30. Toplak earned 1 cap for the Yugoslav national team in 1956, but did not score a goal in that game. In 1964, Toplak became the new manager of Red Star Belgrade in the Yugoslav First League. He managed the club for two years, but did not manage to win anything. After Yugoslavia, he went to the USA in 1967, where he managed the California Clippers from 1967 to 1968, Stanford University from 1969 to 1971 and the San Jose Earthquakes from 1974 to 1975. In 1976 he left the USA and came back to Yugoslavia, where from 1976 to 1977, he was a co-manager of the Yugoslav national team. After the A team, he managed the Yugoslavia U20 and Yugoslavia U21 sides, both at the same time from 1978 to 1980. He led the U21 side at the 1980 UEFA Euro U21 Championship where he got the team to the semi-finals. In 1984, he led the Yugoslavia U23 side at the 1984 Summer Olympics. He guided the team to third place. In 1986 he was once again a co-manager of the Yugoslav national team, this time along side Ivica Osim. From 1991 to 1993, Toplak managed the Indonesia national team. In 1993, after leavin Indonesia, he announced his managerial retirement. This biographical article related to a Serbian association football forward is a stub. You can help Wikipedia by expanding it.